Listen, I've been thinking a lot lately about food. I've been thinking about food, and just this really powerful intimate connection that we have with food that we oftentimes don't think about. You know, what you take from outside here in the world, right? And you put it inside of your mouth, and it becomes a part of you, at least some of it, and we get to decide what we're making ourselves out of. Right? And I've been a student and teaching about nutrigenomics for many years now, you know for a little over a decade, and understanding the really powerful way - and only today has it really come into the forefront - of how each bite of food that we consume, each molecule affects our genetic expression, right? We're literally activating certain genetic programs and turning off other genetic programs based on the decision we make with the food we're eating. So it's not this case that food is just calories, it's just energy. No, when we decide what we eat, we're deciding what our genes are going to do. Alright? That way outweighs the whole concept of like trying to lose weight just by cutting calories, alright? Because as you'll discover today, there are certain approaches to diet where you can eat the same amount of calories, but with one you'll lose more weight, and this is because it's affecting your hormones. Every bite of food that you eat affects your neurotransmitters, it affects all of your internal organs. It's not just one thing that it does. Food doesn't operate in isolation. Right? What the heck should I eat because there's so much conflicting information out there. There's so much misinformation, and there's also a lot of great information that a lot of us don't know about yet. You know because with the Internet, things can be pretty scattered. And so even the concept of like putting your ear to the street, I don't even know if that's even a real thing, if anybody's ever done that. Right we had trackers, I'm sure they were able to dissect and find things, but we don't do that now. Now it's the Internet. That's how we connect, that's how we relate, that's how we get a lot of our information, and also wonderful books like we're going to be talking about today. And I promise this information, this content is paramount, and it's vital, and it's important, and it's consolidated in this incredible work. And he's definitely one of the best teachers in the world, he definitely had a huge impact on me in my approach in my clinical practice many, many, many years ago in finding out information from him, reading his books, listening to his lectures, and also becoming a friend, and somebody who I've really just seen not only affect the lives of people in this space, but he's one of the guys that reaches out further and touches the lives of people who would otherwise not have the opportunity to get this kind of information. And so that is what he is capable of, and I'm grateful to have him on today to share with you, and to learn some really cool stuff as well. Before we get to our guest, I want to talk about the other process of what happens with our food. You know, not everything that we eat becomes us. You know some of it gets assimilated, other parts have to get eliminated. Alright? You've got to poo it out, alright? The waste, and also there's metabolic waste just from the whole experience of like- even if you think about something like estrogen, right? Your body has to eliminate that, one of the major ways is through your colon, right? And so we want to make sure that we don't have recycled estrogen literally getting absorbed in our colon and recycled and put back into our tissue matrix, because that actually is a thing. Alright? This might sound totally new and foreign, but your body is very thrifty at how it operates. You know, so we want to make sure that everything is moving in a natural process, and a big issue with that is- crazy enough, is using a conventional toilet for our elimination, because it is not designed in a way that humans are naturally designed - our personal design - to eliminate waste. And so we see these issues. Number one, we see radical increases in incidents of things like hemorrhoids, of things like diverticulosis where your organs are getting pushed out of place because of the internal force that you're using pushing and straining on a conventional toilet. And this is because of your puborectalis muscle that's kind of like a sling that makes sure that your colon isn't just dropping off cargo as you're walking around. So when you're standing upright, the puborectalis muscle is fully pinching off that process. However you can strain and push and poop while standing, I'm sure somebody's done it, alright? Not a good image, alright? However getting down slightly in a seated position only releases a small amount. Getting in a full resting squat is what we call it, is the way that humans are designed, and that angle is what's natural to eliminate waste. Now this might sound like kind of a weird issue or a taboo issue but it shouldn't be because there are many people who are suffering. We see with issues like constipation, radical increase in incidents, we're talking about 30% increase in incidents of colon cancer because they're not properly eliminating their waste. That's just not right. And who's getting educated on this? Now am I asking everybody to perch up on your toilet or to go in the backyard? You know, 'Got to let the dogs out and let myself out too.' I'm not asking you to do that. What I am asking you to do is make sure you get yourself a Squatty Potty. Now this fits onto your already existing toilet, this just slides in and slides out, it doesn’t actually have an attachment to it, and it's something that helps to- you put your feet up on it and you get yourself into a natural resting squat position, and it's been found across the board- I'm telling you there's life before the Squatty Potty and life after, to dramatically improve your elimination, and improve your health. I promise, once you use the Squatty Potty, you're not going to want to go if you don't have one. It's just like you want that advantage, you want that home field advantage, alright? And also, you know for folks who have been utilizing the Squatty Potty who are out there on the road and traveling and things like that, they now have the Travel Squatty, which I love. I always pack this into my suitcase, alright? It's a Travel Squatty that folds up. You can get the traditional Squatty Potty, and they've got- like if you want to be fancy, like they've got the bamboo. They've got the classic eco model which I have, and I've given this away to friends so many times I can't even tell you. And also the Travel Squatty, and they've got new Squatty Potties for kids as well. And so you can get 15% off all- every single one of their products, their different Squatty Potties over at www.SquattyPotty.com/model. This makes it less expensive than anywhere else you're going to find the Squatty Potty. Alright, guys? So make sure to do yourself and your health a favor. Get your Squatty Potty like yesterday, alright? So www.SquattyPotty.com/model. And now let's get to the iTunes review of the week. ITunes Review: Another five star review titled, 'Eternally Grateful!' by Happi"Amy"ness. 'All choked up writing this. So glad I found your podcast. I recently began my journey back to health. I've had so many law of attraction moments recently such as finding a healthcare provider that works with nutrition and exercise to solve my health issues that include insulin resistance and depression. Another moment is finding your podcast, which embodies all the important elements; fitness, science, spirituality, encouragement, and joy. Shawn Stevenson: Oh man, that just made my whole month right that. Happi"Amy"ness, I love that. That's so powerful and you know, thank you for sharing that, and for having me as a part of your story, and making me a part of your world. I'm just very grateful that I can be honored enough to have a story like that shared. And please everybody, thank you for leaving these reviews over in iTunes. If you've yet to do so, pop over and leave me a review for the show. Sometimes I get a little bit- wow, it's just really overwhelming to even get this kind of feedback because this is why I do what I do, and I promise you, I'm not stopping anytime soon. I've got some really amazing things coming up for you, so make sure to stay tuned and locked in. And none better than today in this moment with our special guest who is just an absolute legend, Dr. Mark Hyman. Dr. Mark Hyman is a practicing family physician, a ten time New York Times bestselling author, and an internationally recognized leader, speaker, educator, and advocate in the field of functional medicine. He is the Pritzker Foundation Chair in Functional Medicine at the Cleveland Clinic Lerner College of Medicine, and Director of the Cleveland Clinic Center for Functional Medicine. Legendary, legendary place. And he is also the founder and director of the UltraWellness Center, chairman of the Institute for Functional Medicine, Medical Editor of the Huffington Post, and a regular medical contributor in the media for CBS This Morning, Good Morning America, CNN, The Dr. Oz Show, and more. 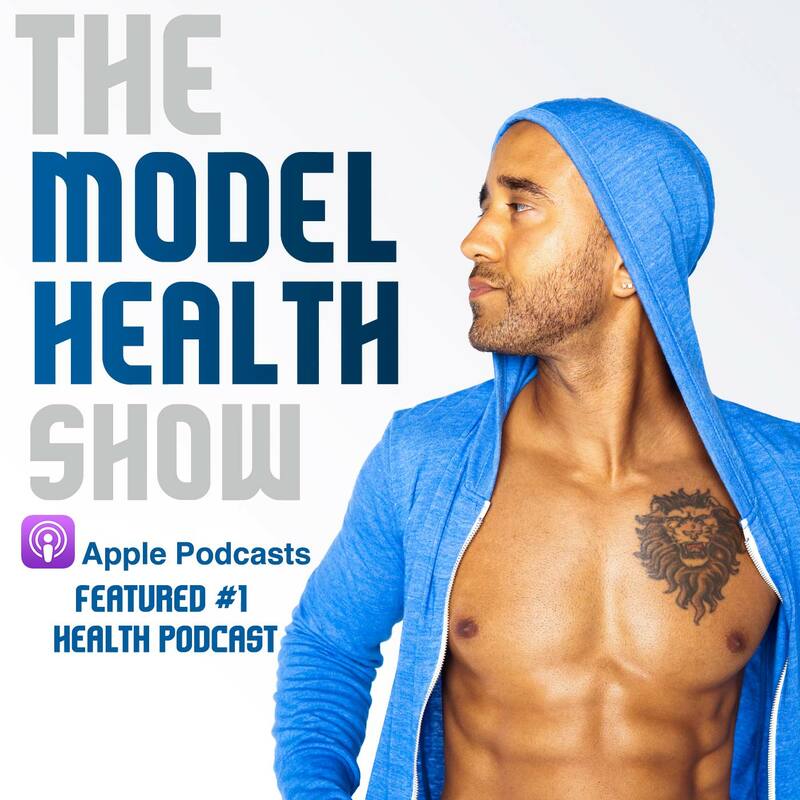 And now he's back for his second appearance on The Model Health Show. I'd like to welcome Dr. Mark Hyman. How are you doing today, Mark? 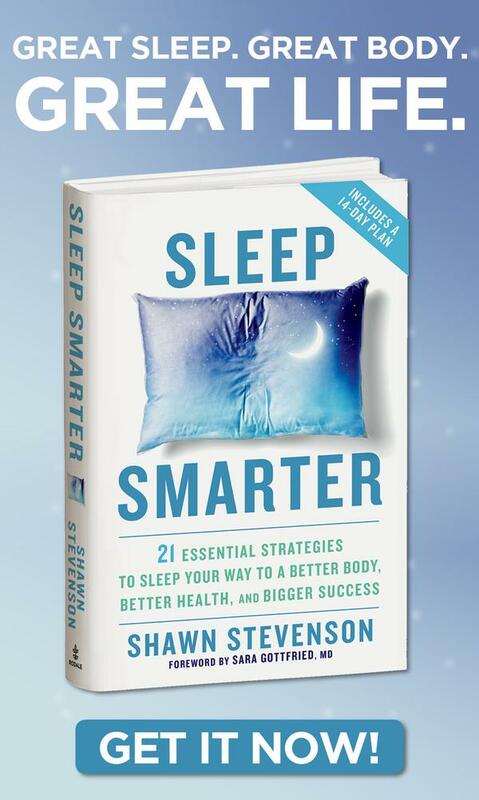 Dr. Mark Hyman: Great Shawn, thanks for having me, man. Shawn Stevenson: I am so grateful to have you on, and to talk about your new project. I was just telling you before the show, there's a lot of stuff we talk about on the show, but the way that you put it together, I read every word. I didn't want to miss a word, and there are so many things I have highlighted, and I just want to jump right in here because I've got to ask you about this. You mention in the book that a top executive at Pepsi told you how excited he was that they had learned how to grow and harvest human taste buds in a lab. Shawn Stevenson: First of all, why did Pepsi let you in? Don't they know who you are? Second of all, what's up with this? This is kind of like some creepy futuristic stuff here. Now what they mean by 'fun' is literally in the sense of like an addictive party drug. Because the foods that they produce are designed to create addiction, and to hijack your brain chemistry and your metabolism and your taste buds. In fact, I met with the Vice Chair of Pepsi, nice guy, smart guy, he was the head of Mayo Clinic Endocrinology, which is no shabby job before he got the job at Pepsi. And I'm like, 'Well how does that make sense even intuitively,' right? We know now that all calories are not the same, so they have a very clear view that all calories are the same, so it doesn't matter if they're Coca Cola, or Pepsi calories, or Dorito calories, as long as you don't eat too many and you exercise, you lose weight. And that is one of the biggest myths out there; eat less, exercise more will cause weight loss is just simply wrong. It's the quality of the food, not how much you eat that matters. And I was like- and he was really sincere about it, and he really felt this was a good thing, but when we look at the data on this it's frightening. There's a guy named Michael Moss who wrote a book called 'Salt, Sugar, and Fat,' about the food industry, and he interviewed 300 food industry executives, and scientists, and people who work for the food industry, and he found that internally they have things called taste institutes where they hire craving experts. These are scientists designed to create addiction, that know how to use chemicals to alter your brain chemistry to create what we call the bliss point of food. And then they talked about heavy users, they want to create heavy users. So rather than getting someone like me to drink soda, they're going to go to the people who are already using and get them to use more. Instead of drinking a liter of soda, they want them to drink two liters of soda a day. And they target the poor, the minorities, and they seem like good actors, and corporate social responsibility, but it's all a big charade to sell more products and privatize the profits and socialize the cost by all the fallout from consuming those foods on health, on our economy, on our agriculture. So it's really kind of a mess, and I think people don't understand the implications of the food they're eating, and it's not just a personal choice. With every bite of food they're taking, they're impacting our soil, our water, our environment, the climate change, their health, the economy, our social structures, poverty, violence. Everything is connected to the food we eat. Dr. Mark Hyman: What'd I say? Shawn Stevenson: No this is incredible, and I've shared this statement many times, is that food isn't just food, it's information. Right? Food isn't just food, it's information. Shawn Stevenson: And so we've got scientists who are world class, some of the smartest people around, who are working on finding a way that when you bring in this particular data from a processed food, from soda and things like that, to maximize the response and the addictive response in your body to get you to eat more of this food, and like be masterful because it's not even real. That's the thing, it's not even real food. So I want to talk now about- you mentioned earlier that calories are not created equal, and what we're looking at here is what is this caloric- let's take the comparison of broccoli and Doritos, right? Shawn Stevenson: This is going to impact your body very differently if it's 300 calories of each. And why is that? What is the main component behind the scenes? Why are they different in how they affect us? Dr. Mark Hyman: Well what we now know is that every time you take a bite of food, it affects your hormones, your brain chemistry, your metabolism, your gut flora, your gene expression, your immune system, right? And it's not the calories that do that, or say it's the quality of the information in the food. Dr. Mark Hyman: So you can turn on all the signals for health and disease by eating a Dorito, same calories you're going to turn on all the signals for health and healing eating let's say broccoli or almonds. And it's a very different effect. For example, let's just take like a great example of like a Big Gulp, right? A Big Gulp is 750 calories. It's got ridiculous amounts of sugar like 70-something grams of sugar. It has no fiber. When you consume it, it causes your liver to become inflamed, it causes your triglycerides to go up, your HDLs to go down, your body to produce insulin, it stores belly fat, it lowers your testosterone, it makes you hungry, it causes you to lose muscle, it increases stress hormones. All these things are happening dynamically when you consume a Big Gulp. If you have 750 calories of broccoli, that's 21 cups of broccoli. I mean good luck if you can eat 21 cups of broccoli. It's got 35 grams of fiber, it's got no sugar, it doesn't affect your body in the same way, it doesn't turn on insulin, it doesn't make you have a fatty liver, it doesn't screw up your cholesterol, it doesn't lower your hormones, it actually increases detoxification, prevents cancer, helps you detox metals, helps increase your healthy gut flora. Exactly the same calories, profoundly different effects on the body. Shawn Stevenson: That's so powerful. Just for us to really kind of take a second and like let that sink in, that the whole thing with this calorie myth that all calories are created equal, this has long been banished, and you even have research in your book indicating how particular foods- you know if somebody eats maybe a higher ratio of healthy dietary fats, that they'll actually lose more weight over the same amount of time, not doing any more exercise, compared to people who are eating a high carbohydrate diet with the same calories. Dr. Mark Hyman: Yeah. Yeah, exactly. So what we now know is that certain calories raise insulin. Carbohydrates predominantly, mostly grains or flour particularly, and sugar, anything that turns to sugar, and that fat doesn't raise insulin. So if you take for example a Type 1 diabetic, this is an easy example for people to understand. They don't make insulin. Their pancreas shut down, these people are eating 10,000 calories a day, they're not gaining a pound. They're losing weight eating 10,000 calories a day. Right? Because they have no insulin, and insulin is required to store the fat. And they're eating carbs, they're eating sugar, they're eating fat, whatever- they're eating whatever, but they still can't gain weight because they have no insulin. When you eat carbohydrates, you spike insulin and it stores fat. It slows your metabolism, it locks the fat in the fat cells, and it makes you hungry. When you eat fat, you don't produce insulin, so if you reduce carbs dramatically, and you increase fat, you can't combine them because that's deadly - I call that sweet fat - you actually will increase your metabolism by about 300 to 400 calories a day. That's like running an hour a day without getting off the couch. Even if you're eating the same amount of calories, and this study has been done. In fact last week in the 'Journal of the American Medical Association,' there was an amazing article about ketogenic diets and Type 2 diabetes and weight loss, showing that when you dramatically increase fat in the diet, you correct all the cardiovascular risk factors, you increase the speed of your metabolism, you cause far more weight loss. In Type 2 diabetics, you get them off insulin, off their medications, and their blood sugars are better than when they were on medication. And I see this all the time working at Cleveland Clinic, and we've run pilots where we're taking the most treatment resistant diabetics, they're on tons of meds, on insulin, we get them off all of that in eight weeks and their blood sugars are far better and almost normal compared to the ones when they were on the drugs. So we have the ability to actually show how this is working, and there's a big study going on now at Harvard, it's a $12 million study funded independently by a philanthropist who wants to show this. And it's they're locking people in a resort, they're feeding them either very high fat diet, very low carb, or the opposite low fat, high carb, and they're measuring what happens on the same amount of calories. Well if your brain is hijacked, willpower is a fiction. You know you can't, right? Shawn Stevenson: Right. You know, there is- well first of all, you know I'm thinking about even the American Diabetic Association, you know the recommendations for nutrition, and they're literally telling people to eat foods that can spike insulin. And the reality is this, and so by the way, this is going to have a little controversy here today. Shawn Stevenson: Because you know, there's films out there like What the Hell, right? Dr. Mark Hyman: Oh yeah, that was a great propaganda movie. Shawn Stevenson: A licensed physician saying, 'You know what? Diabetes is not caused by sugar, it's caused by fat intake.' Right? So before- I see you're like- alright so here's the thing. Listen guys, this is what I want you to do. Make sure to pick up Dr. Hyman's new book, 'Food: What the Heck Should I Eat,' because let me tell you this. All of us, everybody listening, all of us, our family, we understand there's a lot of conflicting information out there, and there's a lot of different choices, and there are a lot of things that are right, and there are also some things that are pretty dangerous that are considered to be right. And so what he's doing is taking the best of each of these fields whether it's vegetarian food, whether it's Paleo food, whether it's the ketogenic approach, and he's looking- like let's actually look at the data, let's have a talk about it, and also use our rational common sense in the mix, you know? So before we get to the controversy, I want to know what inspired you personally to write this? I know for me, this is one of the things we work on here with the show, is drilling down and getting to the heart of the matter. So what was the inspiration for you? People just are confused, they don't know, they don't understand, and they're making bad choices not because they don't want to do the right thing, because they just don't know. And I think there's so much conflicting information out there. You know one day eggs are good, bad, then they're good. One day steak is bad then it's good. One day butter is bad, then it's good. One day oatmeal is good, then it's bad. The truth is we know a lot. When you combine the full body of scientific literature, not just cherry picking studies that support your point of view, and you look at the clinical picture, which I have a rare opportunity because I've been testing metabolic rates, and nutritional status, and blood tests, and cholesterol, and cardiovascular risk factors for thirty years, and using diet and food to manipulate those numbers, and to affect the quality of people's health. So I've seen this, it's not just some crazy idea I have that I read in a book. It's actually based on experience, plus common sense, plus sort of a sense of our evolutionary biology and what makes sense. Does it make sense for us to consume 1,000 times more refined vegetable oils than we did 100 years ago? Probably not? Does it make sense for us to consume 150 pounds of sugar when we maybe had 22 teaspoons of sugar a year when we were out hunting and gathering? Probably not. Right? These are just common sense things. You combine all those things, and I really felt like people needed to get a book where they could go one stop shopping, and look at each category of foods we eat; meat, poultry, fish, dairy, vegetables, fruit, nuts, seeds, beans, grains, sweeteners, sugars, beverages, and know what to choose in each of those categories based on one, what's the science? What it does to your body, the effects on the planet, on human rights, and on our greater society so you can make an educated choice about eating food that's good for you, good for the planet, and good for the world. And I think that's really the goal of this book is very simple, very clear, addressing all the key topics of controversy. So if you've ever said, 'What about-?' it's in the book. Because I've been asked these questions so many times, I know the questions that people have, and I've sifted through the science and made it really simple and clear, so by the end you have resources of where to go. Let's say you want to find the cheap grass-fed beef online, where do you go? Let's say you want to know which vegetables should you eat organic or not, and what matters? Here's where you go to find out, and I go through all that in the book, and it's hopefully a guide that people can use forever. You can keep it in your kitchen, you can keep it with you when you go to the grocery store, you can share it with your friends and family. It's really- for me, I feel like my favorite book I've ever written because it gives people a holistic view of food, and nutrition, and it also includes some of the political, social, environmental aspects as well. Shawn Stevenson: Right, exactly. Yeah and that was very enlightening to see as well. So that's what I want to talk about is let's jump back now, and look at this controversy, right? When we have a physician out there who's sharing this propaganda, something that is like this is totally against human physiology, saying that it's fat that's causing diabetes. So let's talk about that. You have a section in here talking about fats and oils. So where did this like insane information- and by the way, let's start with the coconut thing. Right? Coconut was slammed in the media a little while ago was everywhere. Shawn Stevenson: So let's talk about saturated fat, and the truth about whether or not it's fat that's really bad for you, or whether it's this issue with insulin. Dr. Mark Hyman: Yeah well it's a great question. You know, yeah it's such a controversy and I think what you've said in that movie, What the Hell, was a guy in a white coat, he seems like an intelligent man, who's a trained physician with a license says sugar and carbohydrates have nothing to do with diabetes or obesity. And another guy in the movie says, Garth Davis says carbohydrates can't be stored, only fat can be stored. And this is just basic biochemistry, and maybe they missed their biochemistry class. And the reason they believe this, it's not based on science, it's based on dogma. So you can't let your beliefs and your dogma overtake science and disrupt your point of view. I don't have a particular belief. You know, I've been a vegetarian, a vegan, I've been Paleo, I've been everything in between, and I try to understand what works. I'm curious about what really works. Now what's interesting about fat, you know I wrote a whole book called 'Eat Fat, Get Thin' where I address this in detail. Dr. Mark Hyman: But the issue is really how do we understand what happens when you eat fat and sugar? We touched on it, but if you eat fat, it seems logical that fat makes you fat, right? It's the same word, it looks the same when you cut it open, and it seems like it has more calories than carbs and protein. So logically if you eat less fat, you're going to lose weight. The problem is biology is not so simple, and when you eat fat, you actually stimulate metabolism, you cut your hunger, you release fat from the fat cells, it's called lipolysis. You actually stimulate your metabolism and burn 300 calories more a day, whereas if you eat carbs and sugar and starch, even a lot of grains, you raise your insulin and insulin is the key hormone that's driving almost all chronic disease from cancer to heart disease to diabetes to Alzheimer's, and even things like depression. So we have to understand that as long as we have high insulin levels we're going to be struggling to lose weight and to feel healthy and reverse disease. So that's why this whole movement towards higher fat diets is happening. In fact even the Dietary Guidelines Committee removed any upper limit on fat and they said cholesterol is not an issue anymore. They're still restricting saturated fat. You've got the American Heart Association, which by the way gets most of its money from the food industry and the farm industry, as well as the American Diabetic Association. The American Nutrition Dietetic Association gets 40% of its funding from the processed food industry. Now here's the problem with that logic. There's never been a single study that's ever proved that coconut oil causes heart disease. It's guilt by association. Well he found out that people ate more fat, and saturated fat had more heart disease. Turns out he left out a lot of countries that disproved his theory like France that ate butter and cream like it was going out of style, and they had the lowest heart disease risks. Right? And then never really proved it, and then that became the mean, and he was a very powerful figure and actually convinced the world of his point of view, which turned out to be wrong. And then we moved on to the late sixties when two nutrition scientists at Harvard and doctors were paid by the sugar industry the equivalent of $50,000 to publish a study in 'The New England Journal,' which at that point didn't require conflict of interest statement, to show that fat was the enemy and sugar was fine. Well that went on- that guy went on to run the government Dietary Guidelines Committee, the first one under George McGovern, and that led to this whole era of low fat. And then we got the food pyramid, and this whole spiral. If you look at the statistics, you see that when we came up with the food pyramid and the guidelines, the rate of obesity and diabetes skyrocketed like a hockey stick. Dr. Mark Hyman: And now we're kind of turning the tide back a little bit. It's very hard and I think most people still believe that fat is bad, they eat skim milk, low fat yogurt, low fat foods, low fat salad dressing, and this is really dangerous. Now the key thing to remember is you cannot add fat to your diet if you're still eating starch and sugar, right? A little bit, okay but if the majority of your diet is grains and starch and sugar, it's deadly so I would really never, never, never do that. Coconut oil is something that does raise cholesterol, so their view is if you have saturated fat, it raises cholesterol, and cholesterol causes heart disease, and you shouldn't actually eat anything that raises your LDL cholesterol. Well that whole theory has kind of been broken, and here's how, a couple of reasons. One, there was a major study actually done by the guy who was trying to prove that saturated fat was bad, Ancel Keys, and another guy, a researcher I think at the University of Minnesota back in the late sixties and seventies. This kind of study could never be done today because it's unethical. They took 9,000 people who were basically institutionalized in mental institutions, and they did an experiment on them without their consent, and they gave half of them saturated fat and half of them corn oil, and then they followed them which is almost impossible to do this kind of study anywhere else because people live in the free world, they eat whatever they want, you can't control their diet. So they controlled their diets and they found that the group that had the corn oil actually lowered the LDL cholesterol. That was good, but for every thirty point drop in the LDL cholesterol, there was a 22% increase in heart attacks and death. Shawn Stevenson: This is something like a movie right now, Mark. Dr. Mark Hyman: Oh my God. Malcolm Gladwell did a great Revisionist History Podcast on this, it was really quite good. And then of course we have seventeen med analyses of studies showing there's no link between saturated fat and heart disease. None from observational studies, from interventional studies, from blood levels of fatty acid studies. Nobody can find the link when they actually looked at it, it was just all an idea. And so now we still have this idea that saturated fat is bad, and the American Heart Association is still stuck on that, and so that's why they say coconut oil is bad because it's saturated fat, and saturated fat raises LDL, that causes heart attacks. That theory has just been debunked. Dr. Mark Hyman: They did, they've got this whole file they dug up in the basement. Shawn Stevenson: That's nuts. You know, but the good news is again, is that folks like you who are out here and sharing the reality of the situation, and also pointing people towards better options. So I want to ask you about- because also with coconut oil specifically, and we talk about saturated fat, we're not including the fact that this is from coconut oil. So like what we tend to do is we isolate nutrients versus the food. So let's talk a little bit about that issue. Dr. Mark Hyman: So yeah, I mean first of all going back to the coconut, there's populations that lived in the South Pacific, 60% of their calories were coconut oil, and they had no heart disease, obesity, diabetes, nothing. Right? So the evidence for this coconut oil thing is bad. Now the coconut also has many benefits. 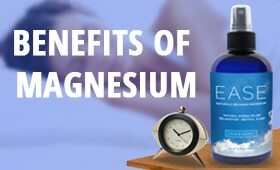 We've got polyphenols, antioxidants in virgin coconut oil, and the coconut oil also has something called MCT oil which is a powerful metabolism booster, brain activator, and metabolism sort of activator. It's really, really an impressive compound. So coconut oil overall has a lot of benefits and I think that we really shouldn't vilify it. And I think the whole saturated fat thing with it just doesn't really make sense, and yet some people genetically have a harder time with saturated fats, that's true but as a whole we're really okay with that. Shawn Stevenson: So there's actually a term, isn't there? For when we're looking at studying the nutrients instead of the real food? Dr. Mark Hyman: Yeah, we call it nutritionism. So we get focused on like saturated fat, or like PUFAs, or a mineral like magnesium, or some fiber, right? And we get- this is what the food industry does, and it works for them, right? If we say fiber is good, whole grains are good, well they'll make whole grain cookie crisp cereal. Now that is not healthy, it's got 22 teaspoons of sugar in it, right? Honey Nut Cheerios sounds good, right? Honey, nut, all these healthy things, right? It's got more sugar in a serving than three Chips Ahoy cookies. Shawn Stevenson: That's crazy. It's like a cereal that- this is what they say, this is Jerry Seinfeld. It's not a cereal that's like cookies, it is cookies! Dr. Mark Hyman: Right, it is cookies. It's basically breakfast- actually it's not really breakfast, it's dessert masquerading as breakfast. Dr. Mark Hyman: Right, yeah. Shawn Stevenson: So let's shift gears now because this is an amazing community who is really about elevating themselves, becoming educated in nutrition. We've got folks who are vegetarian- following vegetarian protocols, Paleo, ketogenic, and here we're very inclusive, and just looking at how can we all work to be the best version of ourselves? And so collectively, what I want to point people to and to talk about, is something that we can all agree upon that you talk about here in the book, and you bring some serious highlights that- again oftentimes we don't consider in vegetables. Alright? So there's actually some potential- oh we've got a special guest here. Dr. Mark Hyman: This is Yoda. Shawn Stevenson: Yoda! Oh hopefully you guys can see the video. But there are some things that we need to be concerned about. So let's talk about this category and why you put a whole section in here of the book on it. Dr. Mark Hyman: Well I wrote a section on every group of food we eat. Like you said I'm not focusing on nutrients, I'm not writing a chapter on saturated fat, or on carbohydrates. I'm writing chapters on the food that we eat; meat, chicken, fish, poultry, fruits, vegetables, grains, rice. So I want to actually make it simple because we don't eat ingredients, we eat food. Dr. Mark Hyman: And in terms of vegetables, the sad thing is that most Americans don't each much vegetables. The number one and two vegetables we eat are potatoes in the form of French Fries, and tomatoes in the form of ketchup. Now neither of those should be considered vegetables because they're one, full of harmful compounds. The ketchup is mostly sugar, and the French fries are deep fried in processed oils, and that turns into dangerous carcinogenic chemicals like acrylamide, and it's fat and carbs which makes your insulin go up and gain weight. So it's just these are not vegetables you want to be eating. And in fact the most common vegetables are the least healthy, and the most healthy are the least eaten. Dirty dozen is these dozen fruits and vegetables you want to stay away from if they're not organic. These clean fifteen, probably not such a big deal, they're not so contaminated. But strawberries, like forget it, you never want to eat a strawberry if it's not organic. And I go through that in the book, and I go through really what we should be concerned about. Certain vegetables may not be as healthy, like alfalfa sprouts, people think they're a health food but they contain a toxic carcinogenic compound, so you don't want to consume a lot of alfalfa sprouts. Or white button mushrooms are in salads, they have a toxin also in there we want to be aware of. But most of the time, most vegetables are pretty good. Now starchy vegetables depending on your metabolism may not be as good for you. If you're a Type 2 diabetic you don't want to be eating a lot of potatoes and big starchy vegetables. But if you're not, those are great to include in your diet. Shawn Stevenson: Yes, you know I'm so glad that you focused on this, and really kind of pulling back the curtain, and really looking at this because- and this is something that we think about, but we might not really, really get. Number one vegetable consumed, potatoes. Alright? Barely really a vegetable. Dr. Mark Hyman: Well French fries. Shawn Stevenson: Listen Mark, this is so crazy, like you literally detailed my childhood here. So we've got potatoes, number one. Ketchup literally- literally I would tell people that I'm part ketchup. Dr. Mark Hyman: Black, white, and red. Shawn Stevenson: I'm part orange as well. Right I'd say red, see how'd you know? You were there, must have been there. I'd say I'm orange because of all the cheese. Now so that's number one. Number two is ketchup. Dr. Mark Hyman: Oh by the way wait, cheese? You said orange for the cheese. So orange cheese, the slices of cheese that we all grew up on, the government doesn't allow the companies that sell it to call it cheese because it has to be more than 51% cheese to call it cheese, so they call it 'slices.' American slices. Look at the label next time. It's illegal to call it cheese because it's mostly ingredients that aren't actually food. Shawn Stevenson: Nuts, man. Kraft macaroni and whatever. Right? Alright so listen, alright so those are the top two. Number three is sweet corn, which again, that was on the menu. And four is onions which is surprising. Dr. Mark Hyman: Onions are okay. Dr. Mark Hyman: That's water. Shawn Stevenson: What kind of salad are you actually eating? You know? And so this was my life minus the lettuce, I didn't really mess with that. Dr. Mark Hyman: Iceberg lettuce. Shawn Stevenson: Yeah you know, so again- and oh guys, I've got to point this out too, and this is what you highlighted here when you mentioned- so first of all you pointed out that farming is actually one of the most dangerous occupations. You know, the folks that are dealing with pesticides and herbicides, rodenticides, and the increased incidents of kidney, pancreatic, prostate cancers. Dr. Mark Hyman: Parkinson's disease. Shawn Stevenson: Crazy stuff. 2015 funded by the EPA found that consumers who often or always bought organic had significantly less insecticide in their urine, even though they ate 70% more produce than people who bought the conventionally grown fruits and vegetables. Dr. Mark Hyman: Yeah, exactly. Shawn Stevenson: That's nuts. That's literally coming out of our bodies. Dr. Mark Hyman: I mean honestly, if we were food, we wouldn't be safe to eat, we're so polluted. Shawn Stevenson: Wow, that's deep. Dr. Mark Hyman: You do fat biopsies and you look at people's storage of pesticides, DDT, DDE, dioxins, I mean it's terrible what's in us. I mean it's frightening. That's why I take saunas all the time, and take a lot of cruciferous vegetables, and why I take things to supplements to help me detoxify, because we are a toxic waste dump. Shawn Stevenson: That's nuts, Mark. I can't believe you just said that. We wouldn't be good to eat. So that's a question for everybody to think about. Dr. Mark Hyman: If we were food, we would not be safe to eat. Shawn Stevenson: Would you eat yourself? Alright? That's the big takeaway for today. Ask that question daily as you're taking care and eating good food. Dr. Mark Hyman: It's like the cannibals have a list. You know don't eat Americans. It's like don't eat tuna because it's got too much American in it. Shawn Stevenson: Alright so let's shift gears here and talk about the thing that usually is coupled with vegetables, which is fruit. You know, when I went to a traditional university and I was taught about the food pyramid at this point, this is when I was in school, and you know, we were told to eat I believe it's five to seven servings of fruits and vegetables. And that is pretty vague, right? Because it could just be four servings of fruits and one vegetable. So let's talk about fruit, and some of the kind of really just kind of jarring issues with fruit. So let's start with the conversation about fructose. Dr. Mark Hyman: Oh wow, okay. So people know fructose is in high fructose corn syrup, and it's anywhere between 55% to 70% or 80% fructose in sweeteners that are used in most foods in America today. And it's not combined like in sugar, regular sugar has glucose and fructose that's together in a double bond. This is free fructose so it's absorbed very quickly, it goes straight to the liver, it causes fatty liver, it causes inflammation, causes weight gain, it's very harmful. And we are consuming huge amounts of this in everything. It's in salad dressing, it's in ketchup, it's in bread. I mean they put high fructose corn syrup in bread for Christ's sake. So that's really the problem. It's not the fructose that's in fruit because it comes in a package, it comes in a package of fiber, of vitamins, minerals, antioxidants. So it's okay to eat it. The problem is what fruit, when, and how much, and for who? So if you're a Type 2 diabetic, and you eat a pound of grapes, you're going to be in trouble. Right? If you're an athlete and you're consuming more fruit, you'll probably handle it fine. And it's important to say 'fruit' not 'fruit juice,' right? You look at Coca Cola and Pepsi, bought Odwalla and Naked Juice. And now you go to look at one of those in the airport, it looks like a healthy green juice, or vegetable, or fruit juice. You look at the label it's like drinking two Coca Colas in terms of the amount of sugar that's in there. So it's not necessarily fruit in juice or fruit in smoothies, which can be- I mean how many apples can you eat, right? You can drink five apples in a glass of apple juice, but you're not going to eat five apples. And then you've got all the fiber and nutrients to prevent the absorption. So unless you're really overweight, diabetic, you want to keep your fruit to a minimum then. You know, eat the low glycemic foods. I talk about what are the high sugar fruits, low sugar fruits. Like berries, they're great, they're full of antioxidants, and you can eat plenty of them but you have to be careful if you're overweight or have Type 2 diabetes. Shawn Stevenson: Yes. You know what? And you also did the same thing with ranking some of the top consumed fruits. So the number one for Americans 'fruit' is orange juice. Alright? Which is bananas. Dr. Mark Hyman: Yeah, it's like drinking soda. Shawn Stevenson: Same thing for me, that was my number one go-to. Let's see, and also you cited a study in here linking it to diabetes as well. And next on the list is bananas, which we've talked about several times. Very hybridized. You know, recently I had a conversation about this on another show, and the host is from Barbados and he was like, 'You know what? I never thought about this, you're so right. We had some kind of- we just thought it was normal that there would be bigger seeds in our bananas,' right? And a lot of folks aren't aware that the bananas that we see, even if they're organic in our conventional grocery stores, have been hybridized to the point that they can't reproduce on their own anymore. Dr. Mark Hyman: Yeah, you go down in South America you see little red bananas, little funny bananas, it's like very different bananas. Shawn Stevenson: Yeah it's a lot of work, you know? We want it now, we want the sugar bomb and the so-called potassium hit. But what I want to talk about in regards to fruit is the fact that number one, of course we talked about what's going on there with insulin, but I want to talk about how we actually use them, right? So with fruit, we just mentioned banana, it's not saying that you can't ever have a banana, guys. Dr. Mark Hyman: No, I mean banana versus Doritos, go for the banana every day. Shawn Stevenson: Yes. And so what's a more advantageous approach? Knowing that potentially we can get into some issues with our glycemic response with fruit, what should we target and what should we be aware of? Dr. Mark Hyman: Well the truth is we should be eating not like five to nine, but more like nine to eleven servings of vegetables and fruit. And it shouldn't be fruits and vegetables, it should be vegetables and fruit. And you know, again depending on your own individual unique needs, if you're an athlete, if you're healthy, you can consume more fruit. If you are a diabetic, if you're overweight, if you have a lot of sugar issues, I mean you can binge on fruit. I mean I used to have a diabetic patient who used to eat a plum and his blood sugar would skyrocket. So you have to see what works for you. Hopefully soon we're going to have an amazing new technology where you basically put a little device on your skin, it reads up to your iPhone, and it will tell you exactly what your blood sugar is when you eat anything. So I think that's a really good thing to think about. Shawn Stevenson: Alright let's jump over here now and really get to the meat sans potatoes. 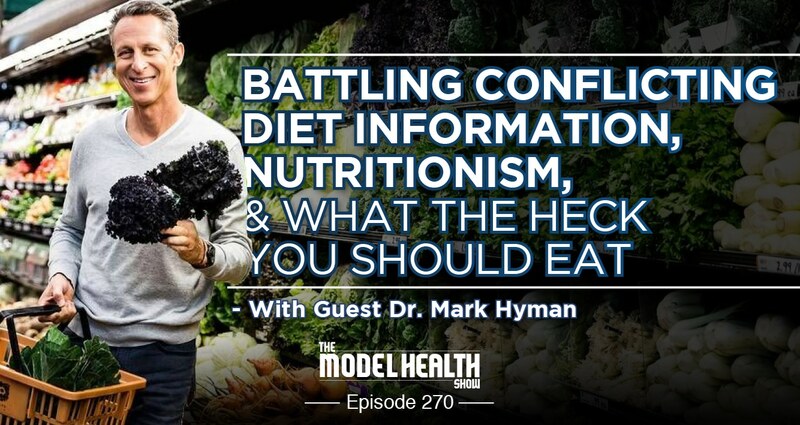 Dr. Mark Hyman: I was wondering when you were going to get to the meat of the subject here. Shawn Stevenson: And talk about meat. So this is a very, very controversial subject, and you highlight so many incredible studies in looking at like is this actually an issue? Is this the causative agent when we see increases of cancer? You know, this is one of the big things. If you eat too much red meat, it's going to cause heart disease, all these kinds of things. So let's talk about this, and make this like the definitive answer on the subject matter. Dr. Mark Hyman: Well look Shawn, you know like you, I'm sure you want this too, but I want to live to be like 120 and be healthy. Like I don't want to do something stupid based on some principle or dogma that's going to make me sick. So yeah, I was aware of the issues around meat, and meat has been vilified for a long time. First because it has saturated fat, saturated fat causes heart disease, so cut out the saturated fat. That's why milk- I mean meat consumption has dramatically decreased in this country over the last forty or fifty years. We've had a lot more chicken, a lot less meat. That may not be a good thing. So I got all the best papers on meat that I could find, I had researchers dig up all these papers, I printed them out, they were stacked high, I took them to the hotel room, and I locked myself in for a week, and I read everything. And I'm like, 'Alright.' And I didn't read the headlines, I didn't read the abstracts, I read the methods, I read who they did the studies on, what their characteristics or what their issues were, and what was interesting, there were really three issues that came up in that process. First was eating meat or not can be a moral issue. You know I've had Buddhist monks as patients, if they don't want to kill any animals, fine. That's fine and they can figure out how to be a healthy vegan or vegetarian, and I teach them how to do that. Second is environmental, and absolutely our factory farming of animals is one of the worst things that's happened in our society today. One, because it is destroying our environment. It's depleting our soils, which we need. If we only have desert and dust on this planet, we're dead. Second, the soils are needed to sequester carbon, which if not it goes in the environment and causes climate change, it goes in the oceans and acidifies the oceans, kills the phytoplankton which produce half our oxygen, so we're to suffocate. And the water also is required to be sequestered in the soil. If you have organic matter in the soil, it can hold tons of water. If you're growing food on dust and fertilizing it, and putting all these chemicals on, it can't hold water, which is why we see mudslides, and why we see droughts, and why we see these crazy weather patterns, it's because of this. It's kind of a digression, but we had sixty million buffalo in this country, which kept the soils healthy, and kept the water in the soils, and prevented droughts, and then we killed sixty million buffalo, and there were like 300 left, we got the big Dust Bowl in the thirties as a result of that. It almost destroyed America. So we're in that situation, and then of course there's runoff into the rivers that destroys the waterways, there's pesticides and insecticides that get loaded in the environment and in our bodies. And it creates climate change, it uses one fifth of our fossil fuels, so it depletes 70% of the world's fresh water supplies is used to grow animals for human consumption. This is a big problem. So from the point of view of factory farmed animals, no we shouldn't be eating those because it harms the planet, it harms us, and in fact has much different nutrients in it, has far less antioxidants, glutathione peroxidase, catalase, less minerals, and it also has a different profile of fat. Wild meat or grass-fed meat has high levels of Omega-3 fats, whereas farm raised meat that's fed corn and soybean oil, and that has higher levels of the Omega-6 fats which can be inflammatory. Plus these cows eat ground up animal parts, they eat feces, they eat candy. Dr. Mark Hyman: I mean there was a giant truck that fell over on the highway somewhere that was filled with out of date Skittles that they were bringing to feed the cows. So there's all kinds of stuff that we shouldn't- and plus there's hormones, antibiotics, there's pesticides in the meat. It's so much less healthy. Shawn Stevenson: Mark, we've got to talk about this. We've got to talk about the candy, alright? So we've said this before, it's not you are what you eat, it's what you eat ate and literally like we know what candy does to us. But this truck spill, you talked about it, and this was all over the news. You know, I see guys in here in the studio even shaking their head remembering, this coating over the freeway- it was a freeway, right? Dr. Mark Hyman: Red Skittles. Shawn Stevenson: Red Skittles, and they were on their way to get fed to some cattle. Nuts. Nuts. Dr. Mark Hyman: It is pretty nuts. So yes, from the environmental point of view, absolutely the wrong thing. But let's just take meat separately, and look at the third issue which is health. What do these studies show about the effect of meat on health? And you know, there was a period of time where a lot of studies were done, we called these 'population studies.' They can prove cause and effect. They basically asked people every year, 'What did you eat?' And then they say, 'What diseases did you have?' And they correlate it and see if there's a connection. Now there may be a connection, there may not be a connection. For example smoking, they did this kind of study and they found there was a 10:1 to 20:1 risk of cancer. With the meat studies, they might find that 20% or 30% increased risk of something, which is not really telling you anything in the context of a type of study that can't prove cause and effect. And when I looked at the characteristics of the meat eaters in these studies, and it was like 500,000 people over many years, they were unhealthy because they were eating meat in an era where meat was bad. So if you ate meat, you didn't give a crap about your health, so you didn't exercise, you smoked, you drank, you didn't eat fruits and vegetables, you ate processed food, you ate more sugar and starch, and you weighed more, and you ate 800 calories more. Of course you had more disease. That's why these people seemed to have more risk of disease. And this is shown over and over again, and when you look at interventional studies where they actually give people a Paleo diet, they actually do better. All their cardiovascular risk markers get better, all their inflammation gets better, their weight goes down. So you know, we have to really look at the science here. And then of course there's studies looking at meat eaters and vegetarians who shop at health food stores. Both of their risk goes down in half because they're eating a healthy overall diet, and the meat in the context in an overall healthy diet is not an issue. So I think we have to really kind of rethink our whole negative view of meat, and then of course there's the issue of whether meat causes cancer, and this was from the World Health Organization, and we shouldn't eat meat because it causes cancer. Well it didn't find that meat causes cancer, what it found was that processed meat causes cancer, and there was a 20% increase in risk of colon cancer if you ate bacon, and hotdogs, and boloney, and salami. What did the study actually show? The studies actually showed that there was a 20% risk, which means your background risk of getting colon cancer, 5%. When you eat bacon, four pieces every day your whole life, your risk goes from 5% to 6%. Now unless you're planning to eat bacon every day, four pieces your whole life, probably shouldn't do that. But a piece of bacon here and there is going to have a nominal increase in your risk. And we're talking about a 1% absolute risk increase. So we shouldn't be eating tons of hotdogs and processed meat, I agree, but the truth is that the risk is overstated and amplified. Shawn Stevenson: Yes and in the book you consolidate again all the data talking about the various types of meat, and looking at some studies, and not just cherry picking. And then you give like a summation in saying, 'Watch the amounts that you eat.' It's not saying like let's go ham crazy, and this makes me think about- for example beef. That was- for awhile there, people still say this like, 'I don't eat red meat,' like it's the badge of honor because this is going to give me a heart attack. And the research indicates very clearly that's not the case, but that doesn't mean you want to just go and start getting crazy with the beef. And this made me think about the movie, I think it was The Great Outdoors. Was it John Candy? Right? Where he had the competition to try to eat this big huge piece of steak, and I think- did he win? Yeah he held it down, but that's not what you want to do, you know? And you actually brought to bear this concept of a Pegan, alright? Pegan. Dr. Mark Hyman: Yeah, yeah. Shawn Stevenson: You've got to talk about this, because when I saw I thought it was hilarious. Dr. Mark Hyman: Okay, it is. It was a joke. I mean I was sitting with a friend and another friend on a panel at a conference, one was a Paleo doc, and the other was a vegan cardiologist who was low-fat. And they were like arguing and fighting. I'm like, 'Listen guys, we're all friends. You're Paleo, you're vegan, I must be a Pegan.' And I was like, 'Oh that's funny,' and everybody laughed. And then I was like, 'Wait a minute, there's a lot of common sense in that.' And I'm like it's not extreme, it looks in each category, how do you choose what to eat? If you're going to eat grains, what are the healthiest grains? If you're going to eat meat, what's the healthiest meat? How much of each should you eat? The truth is that you look at those two camps, they agree on most stuff. One, we shouldn't be eating a diet high in sugar and starch. Two, we should be eating mostly vegetables and plant foods. Three, we should be eating good quality fats. Four, we should not eat chemicals and processed foods and hormones, antibiotics, GMO, and crap. And you know five, if we are raising animals, we should use sustainable practices. We should use regenerative agriculture, we should humanely treat the animals. If we're consuming fish, we should be sustainably harvesting them or sustainably raising them in fish farms that aren't toxic. And we should eat- if we're going to eat grains, we probably don't want to eat a lot of the inflammatory starchy grains. We want to eat more things like buckwheat, and quinoa, and stay away from a lot of the gluten grains. If you're eating dairy, you don't want to have factory farmed dairy. And by the way, both camps don't believe in dairy, and I'm not a big dairy fan, but if you're going to eat some dairy and you can tolerate it, it probably should be sheep or goat cheese, not cow dairy which is full of inflammatory proteins, and other factors that can be harmful. And I go through all the issues around dairy despite the fact that our government says to consume three glasses of milk a day for everybody because it's going to prevent fractures, and make your kids grow strong, and help you lose weight; none of those, by the way, are true. All of them have been disproven. And by the way, I'm not sure you know this, Shawn, but this fall the National Academy of Science has published a report that was commissioned by Congress to look at the integrity of the dietary guidelines process. Do you know about this? Shawn Stevenson: Yeah, it's nuts. Dr. Mark Hyman: And they essentially said the dietary guidelines process is corrupt, that scientists on it are funded by the food industry, and that they've ignored huge amounts of data. Like all the data on saturated fat, they completely ignored because they used the wrong databases, or they don't look at it, or they discard it. And so the guidelines we think are valid guidelines that govern all of our food policies in America are actually corrupt and wrong. So you know, we have to really rethink all this and change the way we view how we make sense of it, and that's really why I wrote 'Food: What the Heck Should I Eat?' because people just don't know, and I'm trying to sift through all the difficulties because we hear something from scientists that can be corrupt, we hear the government was corrupt, we hear the media which is looking for headlines. You know we have the food industry giving us nonsense like health plans which seem to say the food is healthy because it's got whole grain Cookie Crisp cereal. And I try to make sense of it, and simplify it in a way that people can just eat real food, and know what to eat. Shawn Stevenson: And you did an amazing job at that, and I wouldn't expect anything less. You know guys, this is one of the greatest teachers in the world in nutrition and in health. And you've got some awesome bonuses as well for folks that are getting the book right now, and preorder the copy. Or if you're listening to this a little bit later, you can go and grab it ASAP. But regardless, you want to be one of the first to get it, add this to your library. It's at www.FoodTheBook.com, you're going to get hooked up with these incredible bonuses for getting the book right now. Alright? And he lays it on thick, he's just somebody- he's an over deliver kind of guy, so you're going to love that stuff. We really need to be mindful of the fact of even at factory farmed conventional beef, you're going to have higher ratios of Omega-6 fatty acids, more inflammatory, and you're going to be missing out on all these key nutrients you're supposed to be eating it for, the price goes up, grass-fed, right? So these things become an issue, you know? Even in our non-perishable goods. So what do people do? Alright? What do people actually do, Mark? Dr. Mark Hyman: Well you know, that's a great question. The food industry has taught us that it's difficult, it's expensive, it's inconvenient to eat good food. It's only for rich people and the elite. That's not true. You know, I just want to tell you a quick story and then I'll loop back to what the resources are that I go through in the book 'Food: What the Heck Should I Eat?' on how to eat well for less. I went to South Carolina as part of the movie Fed Movie to a family of five, lived in a trailer, foodstamps and disability, and it was really a sad situation. And they lived in one of the worst food deserts in America. And everything they ate was from a box, a package, or can that had some kind of health claim on it like low fat salad dressing that was soybean oil and high fructose corn syrup. Or Cool Whip which had zero trans-fat on the label but was actually all trans-fat and sugar, but the only way they could say that was because the government FDA gave them a loophole that if it has less than half a gram per serving they can say it's zero trans-fat. And you know what? They did it in one of the worst food deserts in America on barely any money, they learned how to cook and shop and eat real food for less, and they lost 200 pounds in the first year. The son lost 128 pounds and now is going to medical school. That's the kind of thing that we need to start thinking about. How do we empower families? It's one meal at a time, one person at a time. And so that's why in the book I go to great lengths to give you resources. For example I send people to www.ThriveMarket.com. This is basically Amazon meets Costco meets Whole Foods. So it's a membership site, they give away free memberships for people who can't afford it, and they provide all the same great high quality food for 25% to 50% off delivered to your house. So if you don't own a car, and you can't drive, you can get this stuff delivered to your doorstep, and it's amazing food. And they're going to be moving into not just dry goods, but also vegetables, and animal products as well, and the whole regenerative agriculture movement. So it's really, really exciting and I love them, and I encourage you to check it out. And then I go through other things like you can use like community sponsored agriculture where you can go to local farms, cut out the middle man and get fresh organic vegetables delivered to you. Where there's online resources to get a cow share. You know if you can't afford grass-fed meat but you want to do it, you can kind of go online and collaborate with groups and buy a cow and then share it. You know that's really another option. There's many, many examples of where you can get good food for less, and shop, and eat, and be healthy without breaking the bank. So I encourage everybody to realize that you're just one meal away from getting healthy. And people don't know how to cook. I mean this family, they were two generations in that family that did not know how to cook. I showed them how to stir fry, I showed them how to make a chili, I showed them how to roast vegetables. Some basic skills, this is not rocket science. If people can drive a car, they can cook, and I think that's what we're missing in this society, and that's really what I want to encourage people to do. Shawn Stevenson: You know, what's so interesting about this book is that you make it very compelling, but also sharing a story like that, you start to actually see the end result, and you see the impact that Mark is having on our culture and on society. And you guys heard it here first, Thrive Market is looking to do some additional things. You know I'm a big fan of Thrive Market as well, and guys you get 50% to 25% off the same things you'd find at great stores like Whole Foods, you know? But again, 25% to 50% off. Dr. Mark Hyman: Whole Paycheck. Shawn Stevenson: Whole Paycheck, the nickname. You know this is where we get our almond butter, we get our coconut oil, and this is like literally like 50% less than I'm paying at our local Whole Foods or another store of that nature, you know? And so personal care products, you know this is where you can get your deodorants free of toxic chemicals, parabens, and things like that. And also, you know house cleaning products. They've got so many great things. They've got categories, you can shop under Paleo, gluten-free, whatever it is that you are identifying with and looking for. 25% off your first purchase and free shipping when you go to www.ThriveMarket.com/modelhealth. Alright so head over there, check them out. Dr. Mark Hyman: I love that. Shawn Stevenson: We just put in an order just yesterday, and I just love those guys. They save me a lot of money, but they're doing so much good with it. Dr. Mark Hyman: Can I tell you another quick story? Shawn Stevenson: Sure, yeah absolutely. Dr. Mark Hyman: Yeah so as part of The Dr. Oz Show, I went down to this family, another family in Florida- northern Florida. They lived on a hobby farm, it was kind of an expanded trailer, there was like I think six of them in the family. They were massively obese, I mean unbelievably overweight from the little kid all the way up. And I went down with them, and I went to their place, and I taught them the same thing, how to cook, here's what we're doing. I got them a nutritionist to help support them, and they lost 335 pounds. And I went down to their kitchen after they sort of got rolling on this, and I looked in the kitchen and I saw nuts, and I saw almond butter, and I saw avocados, and coconut oil. So I think if you learn how to do this, and get the right resources to get the foods you need, it's totally doable. Shawn Stevenson: Love it. Absolutely love it. Dr. Hyman, you are the man, and I appreciate you immensely. Truly one of the greatest teachers walking around on the planet, and I hope to see you just doing so, so much more, and I don't see you slowing down anytime soon because food hit us like- wow, man such a great book. Can you let everybody know again where to pick up the book and where they can connect with you online? Dr. Mark Hyman: Yeah, www.FoodTheBook.com, check it out. You can go to my website, www.DrHyman.com, sign up for our weekly newsletter, I give weekly recipes, awesome food and lots of free information, lots of free videos. I just encourage you to check it out because I really am on the planet to help people get healthy. I know how close we are to changing things, and it's going to take every one of us changing what we do, voting with our fork three times a day, and making the world a better place. So that's what I'm about and I hope you can join in on that mission. Shawn Stevenson: Perfect. Dr. Mark Hyman, everybody. And I want to thank you so much for tuning into the show today. I hope you got a lot of value out of this, and this got you to thinking, you know? This is something that we kind of take for granted. We take for granted that our food system is safe, that our food system- the people that are recommending what we eat have our best interest at heart, and that's definitely not always the case. But things are changing and we don't want to get all caught up in the conspiracy and the things going on behind the scenes, because you have choice regardless, especially when you wake up and become aware of the process, you have a choice to affect change in your life. And you know, you've heard the statement before that we are voting with our dollars, and that's really the name of the game. You know? If we demand it, things have to change, and it starts with what we do at home, and what we are serving on our plates. How amazing and beautiful and kind of like this can be a little bit scary as well, is that- you know it's one of the most intimate things in the entire universe is we're taking something from outside of ourselves and putting it into our holy temple, and that matters. Alright? That matters. And never before have we seen such an opportunity to kind of get this wrong, alright? Never before in human history, only in the last couple of decades have we had access to Cookie Crisp, alright? Have we had access to Golden Grahams, Trix, Cap'n Crunch. It's not Captain, he's not actually a Captain, I think that's illegal to say. Cap'n, alright? And so these things are all new human inventions. We don't know what it does like long-term. Short-term we definitely know, we definitely know; diabetes, heart disease, cancer. It's not a joke. It's not something that is- it's kind of funny but it's not funny! Right? They've got aisles just marketed towards little kids to get them hooked, and we started off this show talking about how we've got scientists in the lab making sure that these hit those flavor nodes, those taste buds the right way to get you addicted early and to get you to become what they call a heavy user, alright? This is a real term that's used by big food industry, is a heavy user. They want you to be a heavy user. You know, but when you say no, and we invest in what's real and what's natural, that's when we put the power back in our hands. I've got right here, advanced copy. 'Food: What the Heck Should I Eat?' by Dr. Mark Hyman, and www.FoodTheBook.com is where you can find it, and really cool bonuses. Guys, I appreciate you so much again for tuning into the show today. Make sure to share this out with your friends if you got a lot of value from it over on Twitter, Instagram, Facebook, all those good places and of course you can tag me, and I always love to see that. We've got some incredible- please understand, some incredible episodes coming up for you real, real soon. So I appreciate you immensely. Once again, take care, have an amazing day, and I'll talk with you soon. Just listened to your podcast with Dr Hyman on my way back to philly(frm visiting my son in Pittsburgh). Great show! I’m a big fan of Dr Geiger, author of how not to die and a viewer of the movie, what the health. I even purchased Dr Geigers cook book. I will be purchasing Dr hymans book aftr listening to your show. 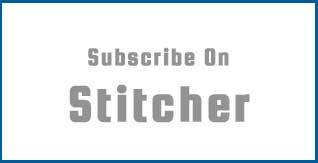 I consider myself an informed eater and an avid exerciser so pod casts like yours interest me. Looking forward to listening to other podcasts of yours and reading Dr hymans book. Lots of conflicting info about our food and its effect on our bodies, but a few thoughts: I don’t trust big pharma, big food or big government to tell me what to eat. I tend to eat more veggies and consume little meat which I started 4 yrs ago ( thanks to my girl friend). I eliminated dairy, most bread and most sugar (I’m half italian) and feel way better (I’m 57 yrs old). Finally, I like your interviewing style by not speaking much or long leading questions: you let your guest speak.